Many people don’t know that outside of spending way too much time in the kitchen – I also spend many hours at a real job! 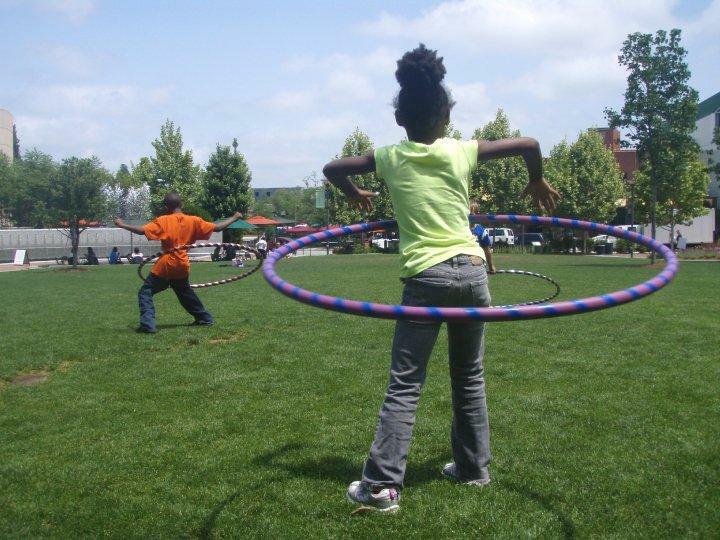 During the daytime — and many times outside the daytime — I work for Action Greensboro. I get the pleasure of working with a variety of people and projects that work to make Greensboro a better place to live and work. One of the many perks of my job is working with Center City Park. Every summer I get to excuse myself from my desk and spend time in the park thinking of ways to promote it’s events and activities. Aside from “working” it is also a great getaway for lunchtime. Last week, our office decided the park was a great destination to host a farewell picnic for our graduating intern, Jennifer. With little time to prepare sandwiches, I picked everything at the store – including a rotisserie chicken – and assembled quickly that morning. Assembly: Make a lemon mayo by adding about a cup of mayo with the juice and zest of one lemon, salt and pepper. Taste for seasoning adjustments. Spread lemon mayo on both sides of the bread. 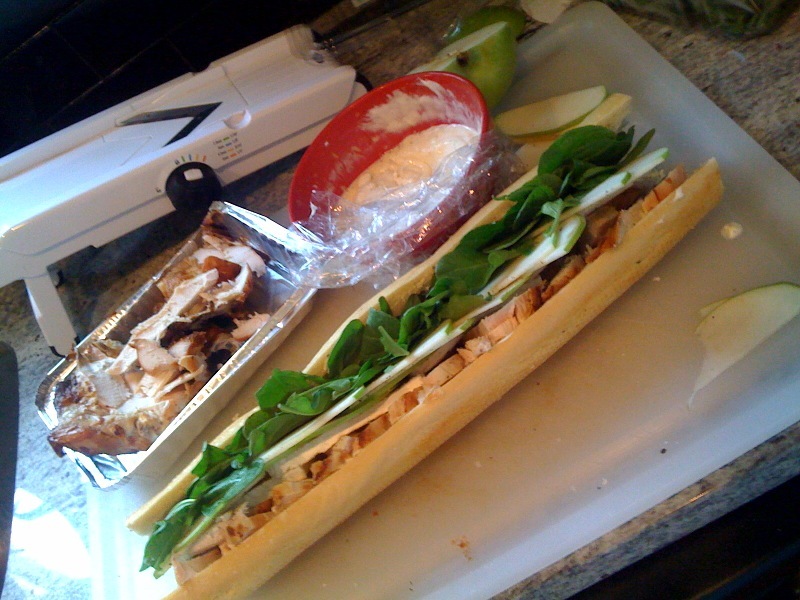 Add sliced chicken, brie, granny smith (I used a manoline to make it very thin), and arugula. YUM. I want one today for lunch! i agree w/ your mom. yum. and you and the COS need to chat sandwiches. she’s a master!